We're very pleased to report that El Reg's Low Orbit Helium Assisted Navigator (LOHAN) team has taken delivery of a mighty thruster in the form of an AeroTech RC 32/60-100NS rocket motor. As you can imagine, there was much excited fondling of stiff tubes down at the Special Projects Bureau, as we got a first shufti at the potential powerplant for our Vulture 2 spaceplane. Ok, it's not much to look at, but this baby is designed specifically for rocket-powered gliders and, when armed with a G12-RCT reload, should provide between 8 and nine seconds of thrust. As we've previously noted, the motor won't be providing any thrust whatsoever if it doesn't ignite. 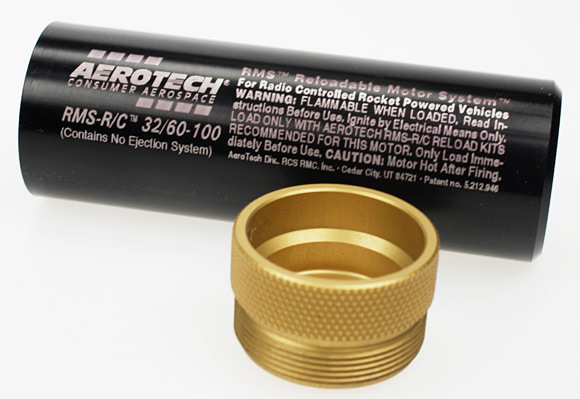 When we threw AeroTech an email asking whether it would perform, president Gary Rosenfield said he didn't know "if the motor will ignite reliably at that altitude without a burst plug or other means to retain internal pressure". 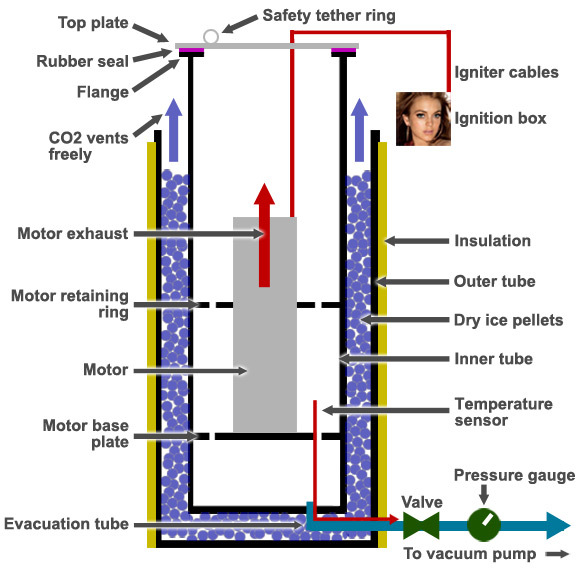 Cue, then, our own hypobaric test chamber (see graphic), dubbed the Rocketry Experimental High Altitude Barosimulator (REHAB). This tremendous contraption, as we speak, is being constructed by skilled operatives in the SPB's underground fab bunker. Once we've got the results of the test, we'll be able to firm up some design parameters for the Vulture 2. The spaceplane concept has been moving forward apace, and last week we popped down to Hampshire to have a look at the Southampton University Laser Sintered Aircraft, aka Sulsa. 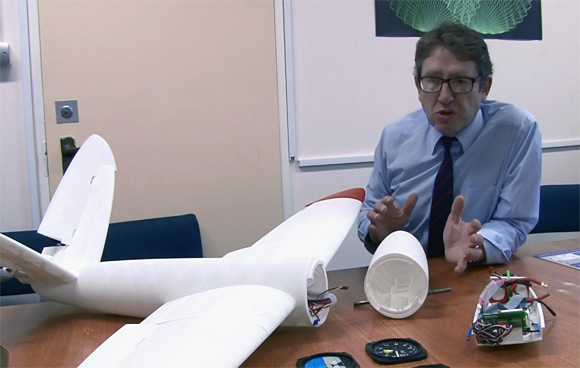 As you'll recall, Sulsa recently took to the skies to claim the world's first fully "printed" airworthy plane title, and professor Jim Scanlan (pictured above) kindly talked us through his creation, and how the selective laser sintering (SLS) process used to create it might be applied to the Vulture 2. Suitably inspired, we then nipped down to 3T RPD in Newbury, Berkshire, where the Sulsa aircraft was printed. 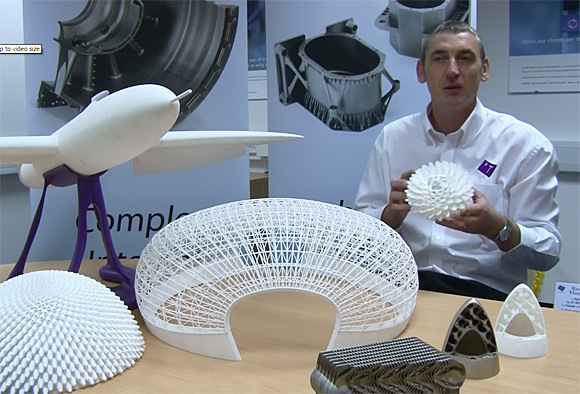 We're obliged to Stuart Offer (below) for showing us just how SLS works, and we came away absolutely convinced that it's the only way to go for the Vulture 2. As you may have spotted from the above stills, we shot some vid of our spaceplane reconnaissance mission, and we'll have a full-fat motion picture on Southampton, Sulsa and SLS in due course.